To prevent cross contamination and in extreme measure these disposable stethoscopes are best choice which are designed for single patient use. 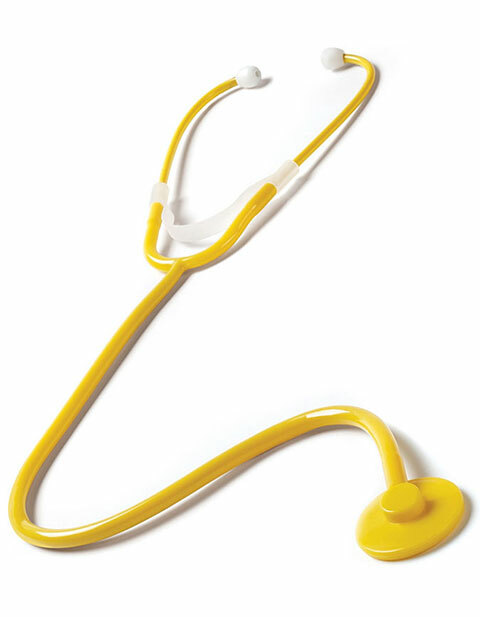 Without compromising on quality this single headed chestpiece stethoscope is made up of standard PVC and weighs appx. 1.9 oz. Total length: 30 inches.